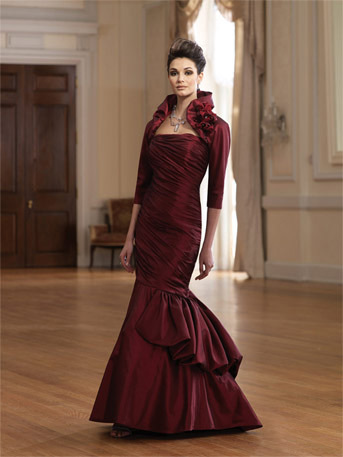 Beautiful wine colored tsniusdik dress that I wore only once for sale. Size 4-6. I just bought it about two weeks ago. It retails for $600 and I paid $200 more for alterations for buildup a little on the top&ellipsis; (The picture you see is before the buildup) Sale Price: $550. Email me if interested: msulimanov@aol.com.